We present an alternative formalism of quantum mechanics tailored to statistical ensemble in phase space. 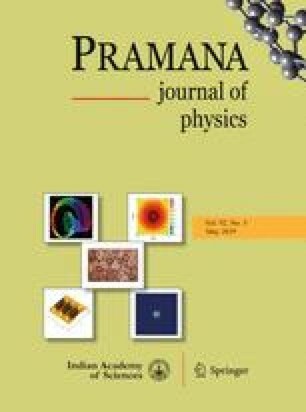 The purpose of our work is to show that it is possible to establish an alternative autonomous formalism of quantum mechanics in phase space using statistical methodology. The adopted perspective leads to obtaining within the framework of its theory the fundamental quantum-mechanical equation without recourse to the other formulations of quantum mechanics, and gives the idea for operators pertaining to dynamical quantities. The derivation of this equation starts with the ensemble in phase space and, as a result, reproduces Liouville’s theorem and virial theorem for quantum mechanics. We have explained with the help of this equation the structure of quantum mechanics in phase space and the approximation to the Schrödinger equation. Furthermore, we have shown that this formalism provides reasonable results of quantisation such as the quantisation of harmonic oscillation, the two-slit interference and the uncertainty relation. In particular, we have demonstrated that this formalism can easily give the relativistic wave equation without using the linearisation of the Hamiltonian operator. The ultimate outcome this formalism produces is that primary and general matters of quantum mechanics can be studied reasonably within the framework of statistical mechanics. This work was supported partially by the Committee of Education, Democratic People’s Republic of Korea, under the project entitled ‘Statistical Formalism of Quantum Mechanics’. The authors thank Profs Chol-Jun Yu and Hak-Chol Pak from Kim Il Sung University and Profs Il-Hwan Kim and Se-Hun Ryang from the University of Science for their advice and help. Prof. Nam-Hyok Kim from Kim Il Sung University and Prof. Yon-Il Kim from the State Academy, DPR Korea, are appreciated for valuable discussion. The authors would like to thank the editors and anonymous reviewers for their comments and advice.